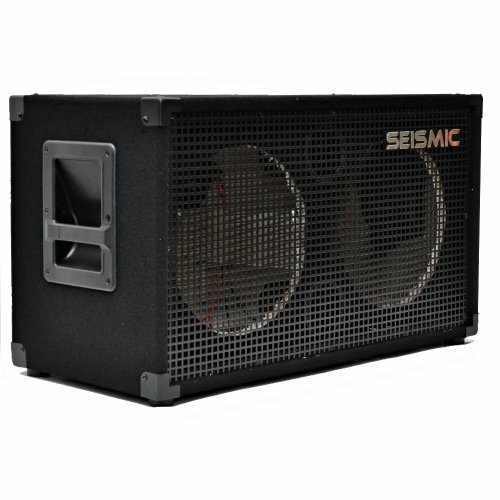 Seismic Audio - Empty 212 GUITAR SPEAKER CABINET - 2x12 PA/DJ PRO AUDIO - Loaded with everything but speakers. Includes grill, wire, jack plates, handles, etc. Empty 2x12 Guitar Speaker Cabinet Model # - SA-212 empty 5/8 plywood front panel Black carpet with black metal corners Recessed handles Full Metal Grill Terminal cup with two 1/4" jack inputs 15" tall - 29" wide - 14" deep Weight: 31 lbs per cabinet This speaker cabinet is brand new. One year warrantyThis listing is for one empty 212 guitar speaker cabinet. You will receive one 212, pictured and described above. This cabinet has everything needed to play accept for the actual speakers. You can load the speaker of your choice into this cabinet. Can be loaded with your own speakers. Seismic Audio S_Wave-10-Pair - Pair of 10" 2-Way PA/DJ Speaker Cabinets - 10"